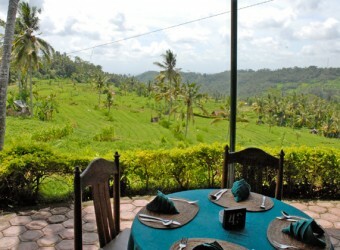 Bali Puri Boga Restaurant is an Indonesian buffet restaurant located on Bukit Jambul. Bukit Jambul is the hill located in Karangasem Regency with the stunning view of rice terrace. Puri Boga is a restaurant with Balinese architecture that has indoor seating and semi-open seating with 300seats and seats for groups.